Editor’s Note: If it is true that we tend to teach the way we were taught, then it is also true that initial experience with distance learning as a student will benefit faculty who subsequently teach at a distance. Online teaching for orientation and professional development of faculty is explored in this pilot research at the University of South Australia. It provides interesting anecdotes on the attitudes and expectations of faculty regarding the future role of distance learning in higher education. This paper reports on a pilot study at the University of South Australia. The study explored the experiences of academics undertaking a professional development (PD) program delivered partly online. University teaching staff are in a unique position to experience and understand the consequences of learning online as part of their PD requirements and this study generated insights into how this experience is fed back into professional practice. In addition, this study reports on the motivations of academic staff interested in elearning as a delivery method and their beliefs about its place in the higher education system. Through examining the stories of staff experiences of online PD, a number of issues are highlighted that could inform development of future online PD courses, particularly those aimed at supporting development of staff competency in online teaching. In particular, issues of access, support for interactivity, and sharing of best practice are raised. Management support… [is] critical, thus highlighting the importance of an elearning plan for the institution, and for the communication of that plan to all levels of the university so that elearning activities are valued rather than seen as detracting from the ‘real work’ of the department. Universities are responding to this need. A review of the literature highlights a number of case studies of such PD courses (see for instance, O’Reilly & Brown, 2001; Johnson & Warren, 2002). In addition, Taylor (J, 2003) describes a University of Southern Queensland PD initiative grounded in the principles of situated learning. Consistent with these principles, universities must address the ways in which their PD programs, aimed at improving online teaching outcomes, are perceived and experienced. This is central because, as Billett (1998: 257) points out, situated learning is heavily influenced by the culture of a specific community. Staff attitudes to elearning may therefore be core determinants of the degree to which staff engage with PD programs in support of this delivery method. This paper reports on a pilot study at the University of South Australia (UniSA). The study explored the attitudes and beliefs of academics undertaking a PD program incorporating some element of online delivery. University teaching staff are in a unique position to experience and understand the consequences of learning online as part of their professional development requirements. While an increasing number of workers encounter PD online in the workplace (for example, Boggs, 2003; Eklund, Kay & Lynch, 2003), University staff are in the unique position of being able to feed their personal experiences of this medium of delivery directly back into their professional practice. In addition, the conditions of the study provided the opportunity to gauge the opinions and beliefs of University teaching staff who had deliberately opted to learn more about teaching online. The study therefore generated feedback from a self-selected interest group about (a) their beliefs about teaching online and its place within the higher education system, (b) their reasons for choosing to engage in this medium as both a teacher and a learner, (c) their experiences of learning online as part of a professional development course, and (d) the ways in which their experiences of learning online might feed back into their practices for teaching online. The PD course chosen as the site of the study was ‘Teaching @ UniSA’, an advanced induction and basic skills development initiative. While ‘Teaching @ UniSA’ will ultimately become a requirement for all new staff, at the time of the study participation was voluntary and, for sessional staff, subject to invitation. The course is delivered by four professional developers and consists of nine modules, covering topics such as ‘What is learning?’, ‘How can I judge quality in my teaching and courses?’, and ‘How can I teach more effectively online?’. It is designed to be delivered over two days of face-to-face seminars, followed by one 2-hour follow-up session and nine hours of ‘out-of-session’ activities, some of which involve online work. The 2-hour follow-up is held to ‘keep the ball rolling’ on the out-of-session activities, as well as to provide additional opportunities for staff to build scholarly relationships. Staff are required to complete the out-of-session activities for three modules of their choice. The PD staff allow them several months in which to do this, reflecting the assumption that the out-of-session activities will be assigned a low-priority by the academic staff. As a PD staff member commented for this study, academic staff do not attach the same status or significance to PD (especially that related to teaching and learning) as do, for instance, members of the medical profession where it is a requirement of continued registration. The particular focus of this study was module nine: ‘How can I teach effectively online?’. The module ‘How can I teach more effectively online?’ reflects UniSA’s strong commitment to the use of technology in the flexible delivery of teaching and learning. This long standing commitment is manifested in UniSA's corporate planning documents, where ‘flexible delivery’ is assigned a high priority and is viewed as a strategic enabler of the University’s other teaching and learning goals. Further, all UniSA courses are required to have an online presence. The Teaching and Learning Strategy 2004–2006 states: 'The extent of online activity varies from programs which can be studied online from enquiry to graduation, to those where there is a limited online engagement'. There is also strong word-of-mouth reinforcement of the University’s policies regarding flexible delivery and online learning. The PD team therefore saw module nine as an essential component of 'Teaching @ UniSA' and conceptualised it as an opportunity to introduce the first principles of elearning, focussing on the pedagogy of online delivery, rather than the procedural or technical knowledge required to author sites on UniSAnet, the University's online teaching environment. Because the University’s policies regarding online delivery are so widely understood, the PD staff also felt that an introduction to these expectations, including a justification of them, was unnecessary. In addition, PD staff were conscious that the University's academics assume a high degree of autonomy in delivering their courses online, making pedagogical assistance particularly useful given that academic staff are not ‘elearning designers’ per se. The out-of-session activity for this module was structured to emphasise the crucial importance of the design stage in online delivery. A large proportion of it was paper-based in order to emphasise the important ‘offline’ work that goes into online teaching. Completed activities were then posted on the online discussion board which could also have been used for communication and collaboration, although the module's facilitator did not particularly promote it for these purposes. The study took place over the non-teaching period in summer 2003–2004. Interviews were sought with staff members who signed up to complete the out-of-session activity for module nine. At the time of the study, 11 staff had signed up and six volunteered for interview. Of the six, five had completed the out-of-session activities, and one had withdrawn after signing up, choosing to complete a different module instead. The interview data for this person was retained given the exploratory nature of the study and because it enabled insight into the experiences of someone partially engaged with online learning, as represented by the oscillation between participation and non-participation in the module. Interviews lasted between half an hour and forty-five minutes and were semi-structured in order to cover any unanticipated territory, a particular aim of the study. Some emergent themes generated from this preliminary data will now be discussed and avenues for further research or consideration offered up. KH: Do you think it's likely then that you will want to put your courses more completely online? Y: Oh, I'm sure that's what they'd love us to do. KH: Why do you think that? Y: 'Cos it's cheaper and it's… you can get it out there to a lot of students in a short period of time, there's no bums on seats. So I think it's something of course they're going to press for, you know. R: … by improving the teaching the students are more satisfied, they're our customers, so you've got a better chance of getting more students coming and enrolling in subsequent years. I think it's very important. This echoes Schofield’s (2003: 170) findings. In a series of case studies addressing the corporate use of elearning, she noted that interviewees were well able to articulate the link between elearning and corporate strategy, just as R does above. Further to this, participants showed a high degree of engagement with ‘cost-effectiveness’ concerns, demonstrating that the view of elearning as a ‘cheaper’ delivery option was widespread amongst the participants. Five out of the six participants held positive views about elearning as a teaching method. This high level of approval is consistent with the self-selecting nature of the participant group. Participants revealed a well-developed philosophy as to when the use of ICTs was appropriate. This is despite the fact that only two participants had a reasonably advanced online supplement to their courses, and that most delivered teaching primarily face-to-face. The high degree of thought given to the appropriate use of ICTs for teaching possibly reflects the participants’ beliefs that this delivery method will inevitably become more prevalent in the future. The subject matter being taught was the most often cited factor determining participants' attitudes to the appropriateness of elearning use. This preliminary data therefore reflected a very strong and widespread expectation amongst academic staff that the use of ICTs for teaching in the future will be not only required but inevitable, driven by the need to match the expectations of students and to win them in the global higher education marketplace. Participants were further able to articulate a personal philosophy about when elearning use is and is not appropriate for teaching. A: … I don't classify that as online, what I did. All I did was submit something to a discussion board. And to me that's not... I've done that before. It should be noted that the facilitator for module nine had ‘limited expectations’ for how much the discussion board would be used by staff. However, what remains interesting about the lack of engagement with this interactive feature is the fact that discussion boards are very common features of the participants’ own online supplements on UniSAnet. Of the participants who are currently teaching, only one has not included a discussion board in the course supplements. Given the participants’ own tendency to avoid using this feature in ‘Teaching @ UniSA’, interview data was reviewed in order to explore the degree to which this experience fed-back into the way staff viewed the discussion boards they provided to their own students. What emerged was a curious pattern of staff under-valuing the consequences of non-participation in online interaction, as well as an under-valuing of the effects of technological difficulties if they arose. No specific evidence was found that staff lack of engagement with online tools led to insights into student lack of engagement with online tools, despite the fact that staff admitted their own discussion rooms were often under-utilised. What did emerge, however, was that the primary method staff were planning to integrate to their online teaching in order to encourage student participation, was to make submission to discussion boards a feature of assessment. While this clearly worked in the basic sense for staff’s own participation, no one commented on the very superficial level of engagement it generated, nor foresaw this as a problem for their own students’ engagement. KH: … is there anything specific out of your experience as a student [online in this PD course] that you might want to put into your [online] teaching? … For instance, with the technical difficulties that you had accessing the [out-of-session activity]? H: Well, that was just a question of password availability. H: Once I got into the [out-of-session activity] that was no problem. Five other such instances of technological difficulty emerged from the interview data. One instance involved a participant talking positively about video conferencing software that could be used to overcome distance, while also admitting that it was not used because ‘It isn’t particularly behaving itself. It’s an untapped resource’. Further examples include the participant who was unable to post to the University network because of cross-platform problems which required the extended help of an IT person to resolve. These examples are interesting, not because they highlight the regularity of technological problems disrupting intended use, but because they hint at the low degree of significance attached to these instances by the participants. H’s comment above implies that the technological difficulties do not matter much if the learning activity itself is sound, however, he stated that to get the access problem resolved, the facilitator for that module had to ‘muck about with computer people, getting websites changed’. In another situation, of course, the participant himself may be the facilitator with responsibility for ensuring his students can access his set materials. One possible explanation for this under-valuing of the difficulties associated with technology is that these comments came from the participants who either currently had no online presence (because they were not currently teaching) or had a very limited online presence. The two participants who provided an online supplement that was reasonably sophisticated spoke of technological limitations, but in an entirely different light. They spoke of the limitations UniSAnet placed on them in terms of installing automatic quizzes, of allowing them to present PowerPoint files in html format and so on. This suggests that with experience, staff may develop a greater appreciation for the limitations of technology and that greater understanding of these limitations will naturally come with greater use. It may be worthwhile considering why technological difficulties encountered in the student role did not have this effect. Further, this suggests that staff just beginning to deliver online teaching may need to be better prepared to attach the appropriate significance to technology that works well and hence limits disruption to student learning experiences. … the challenge was to integrate the use of a range of information and communication technologies into teaching practice. A: Well, I have no way of knowing who those people are. I would if I knew but I don't. I just don't know who's doing it well. I have no idea where to go to find out. Her comments echo those of E, quoted above, who tried to instigate enforced sharing via the discussion board so that participants could learn from each other’s practice. Both these cases reflect the positive experience of R, who spoke enthusiastically of his past experiences as a student learning online (not in the PD, but elsewhere), and viewed this as an important step in developing good online teachers. KH: Do you feel it's useful then for people that are going to teach online to have some experience of learning online? R: Absolutely, because how do you know what to present your students with if you've never had the experience of being a student? I mean, you know what works and what doesn't as a learner, and I think that's important. This preliminary feedback therefore suggests that staff may value and find highly useful the opportunity to share examples of best practice with each other and that these opportunities may require some help from management in order to be generated. A, for instance, is not aware which of her colleagues is a good online practitioner and it is foreseeable that this may be the case in many schools where opportunities for sharing are not explicitly created or enforced. Further, while R is positive about giving staff the opportunity to learn online before they teach online, he felt that the three hour out-of-session activity for module nine was too short to create an authentic experience. This comment also needs to be read in light of the fact that the facilitator for module nine specifically wanted to emphasise the offline planning component of teaching online. However, R’s comment may still point to an unfulfilled need in the teaching population and may also help explain why staff did not utilise the discussion board beyond the basic requirements. E: I feel that still more time is required because I want this to be a hands on experience... Here was a very good starting point to learn what it is all about… next time that I attend, instead of a broader session like this, think of, for example, four intensive sessions. While E is suggesting a formalised PD arrangement, such extended support could take varying forms, for instance, a more informal interest group, or a series of occasional seminars. Any such arrangement could additionally help facilitate network-building between expert practitioners and novices. This communal sharing of knowledge is an essential feature of the situated learning discussed widely in the literature and initially proposed by Lave and Wenger (1991). At the core of this theory is the principle that learning occurs ‘within a social context of participating in a community's activities’ (Gallivan, 2000: 58). A’s statement that she did not know which of her colleagues to go to for help therefore suggests that, for her at least, the essential informal opportunities for learning could be better facilitated. This is important as informal learning opportunities provide the genesis for a significant proportion of the professional knowledge held by workers (see for example, Cross, 2003). It should be noted here that UniSA does provide additional support services for staff who want to teach online. Crucially, apart from one aspect of this support, no participant demonstrated knowledge of these options when specifically asked where they would go for help if they needed it. While investigation of this issue was beyond the scope of the study, the interview data suggests that staff either have a low level of knowledge relating to the support services on offer or that they do not consider the support services relevant or comprehensive enough. This apparent lack of engagement with the other support services is also reflective of the ‘go it alone’ perception that is attached to teaching online, both by staff themselves, and the professional developer interviewed for this study. This is an area that may benefit from subsequent investigation. This paper reported on a pilot study at the University of South Australia. In particular, the aim of the study was to investigate staff attitudes to elearning, both as a teaching method that is increasingly widespread, and as something they themselves experienced first-hand through their participation in an online PD module. It is suggested that both of these factors may impact on the ways in which the PD program is itself received, as well as the ways in which staff go on to utilise elearning in their own practice. In addition, the study addressed some of the underlying assumptions staff members bring to discussions about elearning in higher education, and found these assumptions to be heavily influenced by the prevailing rhetoric associated with ICTs in educational policy, as well as word-of-mouth about University policies. From this preliminary investigation, a number of areas for potential further inquiry have been highlighted. Given the small number of participants, further investigation is required to gain insight into the extent of the issues discussed here. However, a range of interesting issues for practice emerged from the study. For instance, universities may wish to consider what ramifications the strong staff beliefs in the inevitability of elearning use in higher education have for practice and the ways in which this kind of delivery is approached and evaluated. What should be encouraging, however, is the high degree of informed opinion about the appropriate use of elearning already circulating amongst the research group, albeit a self-selected interest group. The pilot study produced insights into the ways in which learning online may feed back into academic practice for teaching online. In particular, the study highlighted a number of areas where PD programs may be able to focus attention in order to optimise staff’s reflective insights. In this study, these areas included the lack of staff engagement with online interactive features, the technological barriers that interfere with the learning experience, as well as the need for cross-promotion in relation to other areas in the University where support for online teaching can be found. Finally, a strong pattern emerged from the interview data of staff valuing and desiring the opportunity to share and experience best practice examples of online teaching generated by their peers. In this study, what was desired was clearly the opportunity to engage in a PD environment that catered for authentic experiences with elearning materials that are of a higher order of sophistication. While it may be paradoxical that staff seemed to desire elearning experiences that surpassed those they currently offered to their students, it nevertheless seems logical that staff be given access to examples of best practice so that they may build upon them in their own teaching. Thanks go to Margaret Hicks and Matthew Thomas for their assistance with this study. Alexander, S. (2001). E-learning developments and experiences. Education & Training, 43(4/5), 240–248. Billett, S. (1998). Constructing vocational knowledge: Situations and other social sources. Journal of Education and Work, 11(3), 255–274. Boggs, T. (2003). E-learning grows in workplace. [Online]. Available: http://www.thestar.com [20 November 2003]. Clegg, S., Hudson, A. & Steel, J. (2003). The emperor’s new clothes: Globalisation and e-learning in higher education. British Journal of Sociology of Education, 24(1), 39–53. Cross, J. (2003). Informal learning—The other 80%. [Online]. Available: http://www.internettime.com/Learning/The%20Other%2080%25.htm [14 May 2003]. Eklund, J., Kay, M. & Lynch, H. (2003). E-learning: Emerging issues and key trends. [Online]. Available: http://www.flexiblelearning.net.au/research/2003/elearning250903final.pdf [25 September 2003]. Gallivan, M. (2000). Examining workgroup influence on technology usage: A community of practice perspective. [Online]. Available: http://portal.acm.org/citation.cfm?ed=333356&dl=ACM&coll=GUIDE [29 July 2004]. Herbert, D., Hannam, R. & Chalmers, D. (2002). Enhancing the training, support and management of sessional teaching staff. [Online]. Available: http://www.aare.edu.au/02pap/her02448.htm [2 October 2003]. Keep, E. (2002). ICT and its impact on skills and creativity: Transformatory catalyst or dependent variable? [Online]. Available: http://www.terra-2000.org/Terra-2002/Pages/abstract_prague.htm> [5 March 2004]. Johnson, R. & Warren, C. (2002). A focus on teaching in online pedagogy. [Online]. Available: http://www.aare.edu.au/02pap/joh02092.htm [2 October 2003]. Mayes, T. (2001). Quality in an e-University. Assessment & Evaluation in Higher Education, 26(5), 465–473. O’Reilly, M. & Brown, J. (2001). Staff development by immersion in InterActive Learning Online. [Online]. Available: http://ausweb.scu.edu.au/aw01/papers/refereed/o_reilly/paper.html [29 July 2004]. Schofield, K. (2003). Think strategy: Corporate e-learning in four companies. In H. Guthrie (Ed. ), Online learning: Research readings. (pp. 163–182). Adelaide: NCVER. Schuck, S. (2003). The eChange Project: Supporting a faculty of education’s move to authentic use of information and communication technologies through mentoring. [Online]. Available: http://ultibase.rmit.edu.au/Articles/july03/schuck1.htm [1 October 2003]. Swetman, D. & Baird, W. (1998). Sustained support for science and math teachers’ use of microcomputers. Journal of Computing in Teacher Education. 14(4), 13–18. Taylor, J. (2003). Managing staff development for online education: A situated learning model. Journal of Higher Education Policy and Management, 25(1), 75–87. Taylor, P. (2000). Academic careers in the 21st century: Making sense of new opportunities and challenges. [Online]. Available: http://www.aset.org.au/confs/aset-herdsa2000/procs/taylor-p2.html [1 October 2003]. University of South Australia (2002). Teaching and learning strategy 2004–2006. [Online]. Available: http://www.unisa.edu.au/pas/qap/planning/planningdocuments.asp [29 July 2004]. Weigel, V. (2000). E-learning and the tradeoff between richness and reach in higher education. Change, 33(5). 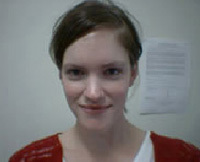 Karah Hogarth is a PhD candidate at the University of South Australia. Her doctoral thesis involves the investigation of the factors that lead towards the development of best practice in the implementation of elearning for workplace settings. Associate Professor Ingrid Day is Dean of Teaching, Learning and International at the University of South Australia. Ingrid has a background in the use of new technologies for teaching and learning and pursues research interests in the advancement of quality assurance techniques for elearning materials. 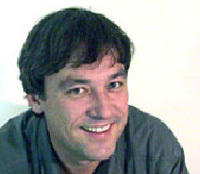 Professor Drew Dawson is the Director of the Centre for Sleep Research at the University of South Australia. Drew's varied background includes experience in advertising, marketing, teaching and research, as well as in the use of elearning for the delivery of training in corporate settings.